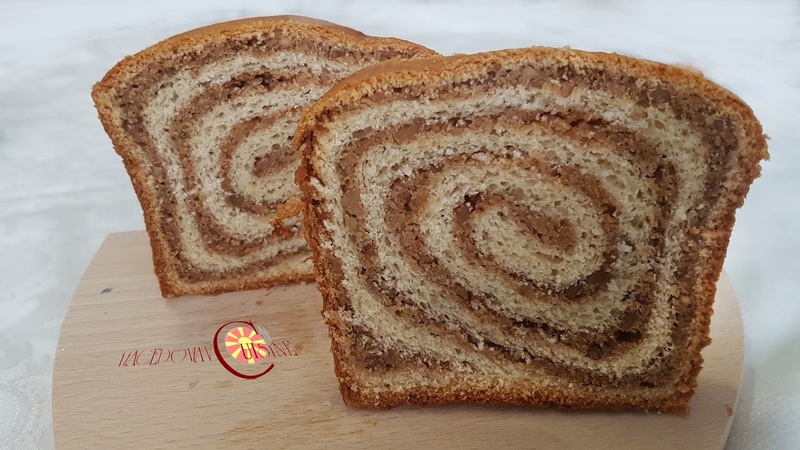 The famous walnut roll, the dough is fantastic and you can make different filling if wanted. 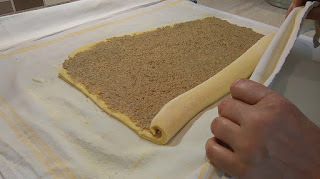 I would go with hazelnut filling the next time, maybe add some chocolate too, and this one is with walnut filling. Dissolve yeast into lukewarm milk and add sugar and a little flour to activate the yeast. Mix soft dough from all the ingredients and set aside on a warm place to double the size. When the dough grows, place the dough on a heavily floured surface and shortly knead it, add some flour if necessary, but make sure that the dough should be as smooth as possible and leave it to grow again for 1 hour. Prepare the filling, pour over the walnuts,sugar and vanilla sugar with hot boiling milk, you can put a drop of lemon juice in order not to darken the walnuts and let it cool down. Once the dough is raised, spread it on a towel using a rolling pin and apply the filling and slowly roll it with the help of the cloth. 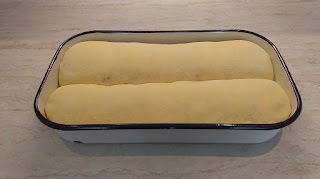 Divide the roll into two parts and place in a rectangular pan or in a mold coated with margarine or butter. Put the rolls in a cold oven, turn the oven on at 170 C degrees and let them bake for about 40 minutes. After 20 min baking, cover them with baking paper in order to avoid quick darkening on top. After baking, brush with butter, let them cool a little and then rinse them in a cloth so they do not dry. Store at room temperature in а nylon foil to remain soft. Tip: while baking, set an ovenproof dish with water on the bottom of the oven. The water will help in dough stay soft.